Temperature ratings for plugs and jacks are for continuous use. 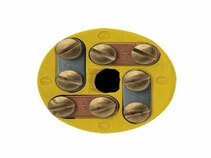 The plugs and jacks come in standard and miniature sizes. 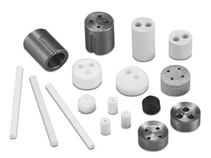 Thermometrics offers a multitude of sensor accessories including connection heads and explosion proof heads. 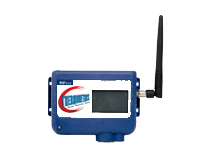 Transmitters are designed for tough environments, high temperatures and engineered for quick thermal equilibrium. 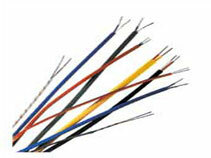 Thermometrics thermocouple wire and thermocouple extension wire have been known for premium performance and reliability. Custom and stock wires available. 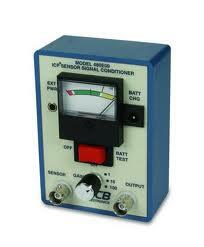 Signal Conditioner is a device that converts one type of electronic signal into a another type of signal. 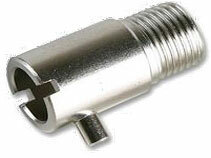 Thermometrics offers a large line of temperature sensor fittings. They are available in a variety of sizes. 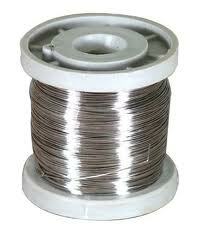 Resistance Wire is usually used for high power resistors and heating elements such as RTDs. 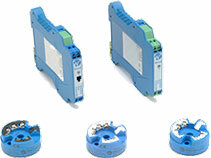 Terminal blocks are designed to fit metal sheathed cable or probes. Add remote sensing points, without the cost of running wires, results in numerous benefits. used in applications where contamination from hostile environments or the cutting action of concentrated and direct flame impingement are factors. Sanitary Clamps are a key part of any Sanitary Process System. These fittings are standard in many industries, including the food/beverage and biopharmaceutical industries. 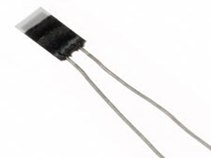 A resistance element is the temperature sensing component at the heart of an RTD or resistance thermometer.